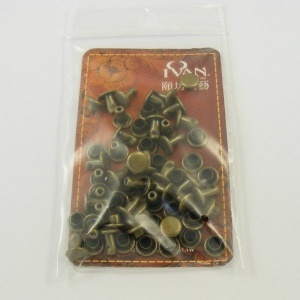 These little rivets are perfect for joining layers of leather up to 4.5mm thick. They are double capped rivets, which means they look good from both sides. 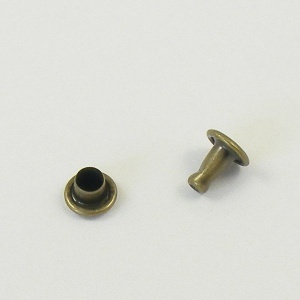 These antiqued brass finish rivets have a 6mm cap size and a 6mm stem length. 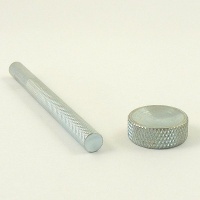 Available in packs of 30, 150 and 300 rivets.